Belle Vue is an admirable gated residential community offering luxury hillside plots to develop your dream home. 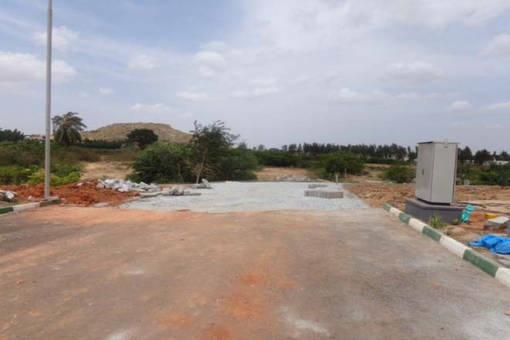 The project is located on main road to Nandi Hills, Bangalore. The premise encloses a verdant land parcel and features villa plots planned amidst beautiful green open spaces. The campus includes all required physical infrastructure and comprises of bitumen roads, STP, sump &amp; bore-wells, sanitary, Rain water harvesting, underground electric wiring &amp; communication network. DivyaSree Belle Vue includes skilfully planned community amenities. The niceties provided comprises of landscaped gardens, children’s play area, clubhouse with gym, Library, multi-purpose hall, indoor-outdoor sport facilities, park, cycling tracks, gazebos, swimming pool with kids’ pool, and round the clock security monitoring. The project enjoys good road connectivity, routing it to the Bangalore-Hyderabad highway, assuring that the airport is just 30 minutes drive away. The area has fertile soil, good levels of oxygen in the air and temperatures that are 3-4 degrees lower than in the city. 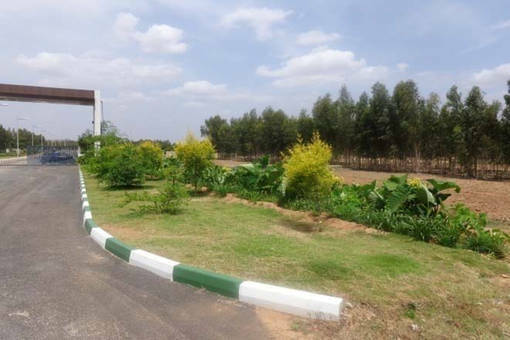 DivyaSree Belle Vue is located in pictorial surrounds of Nandi Hills, Bangalore. This area has seen rapid growth in-terms of commercial and residential elevations and is equipped with excellent physical and civic infrastructure. The presence of reputed educational institutions, hospitals, IT hubs, shopping malls, multiplexes, supermarkets, banks and other social conveniences paves way to an easeful livelihood.